…I have got confidence in you because Krishna has given you special talent for chanting Hare Krishna Mantra. 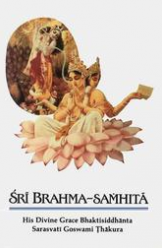 When you were chanting in L.A. temple in the evenings, or in the mornings, I enjoyed your chanting so nicely that I thought myself immediately carried to Vaikuntha. So I am always thankful to you for your activities in announcing the interest of our mission. Thank you very much. Most probably when I return to L.A. 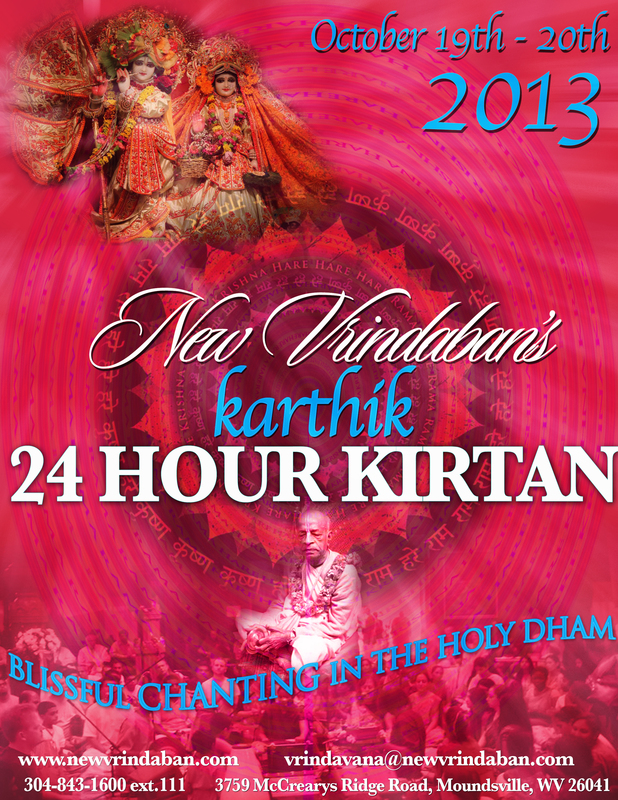 I may call you back just to hear your chanting of Hare Krishna Mantra. This morning as I was reading some letters by Srila Prabhupada, this letter to Visnujana Swami really touched my heart. 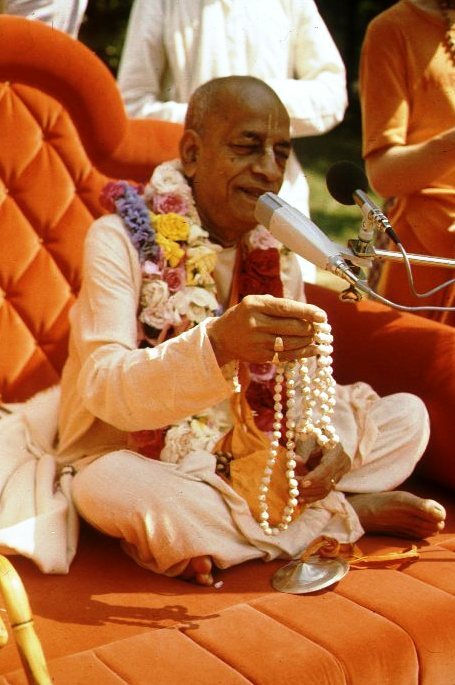 “My Dear Son, Visnujana Maharaja, Please accept my blessings.” Srila Prabhupada was so sweet in his dealings with his disciples, particularly those who took the mission seriously. I have been going through my older files of late, and ran across this fine article posted by Hansadutta Prabhu some years ago on his site Krsna World. Chanting is exactly like the simple method of inhaling and exhaling. Although it seems like a very simple act, it is nevertheless the essence of the whole thing. Without that inhaling and exhaling, none of the other activities can take place. We also understand that no one simply inhales and exhales, but all the other activities are supportive of the inhaling and exhaling. 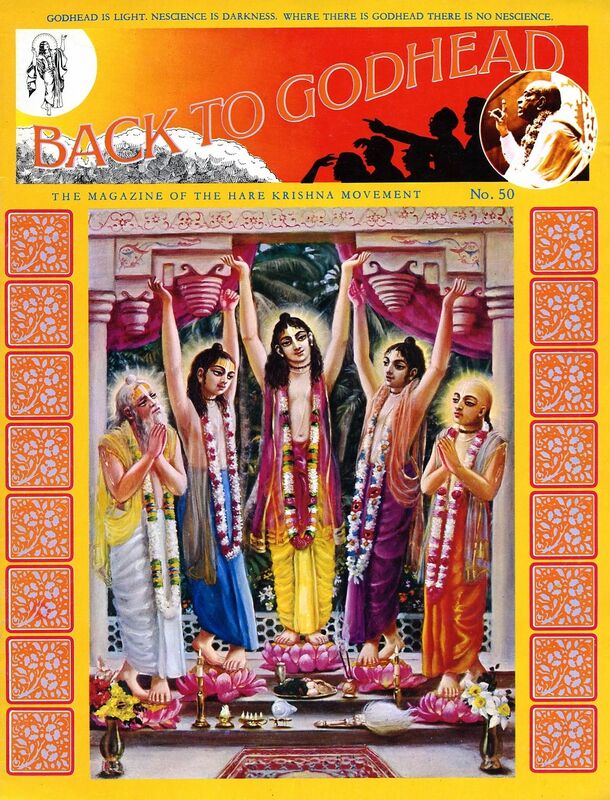 Some years ago I happened across this interesting internet page called “Hare Krishna FAQ”. The page was located at; http://www.harekrsna.de/artikel/faq.htm I quickly read through it and copied it to my files to re-read at a later time. I read it again this evening and found it very interesting and at times amusing. 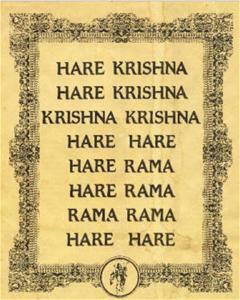 We share it with our readers here at The Hare Krishna Movement. What is the meaning of Hare Krishna? 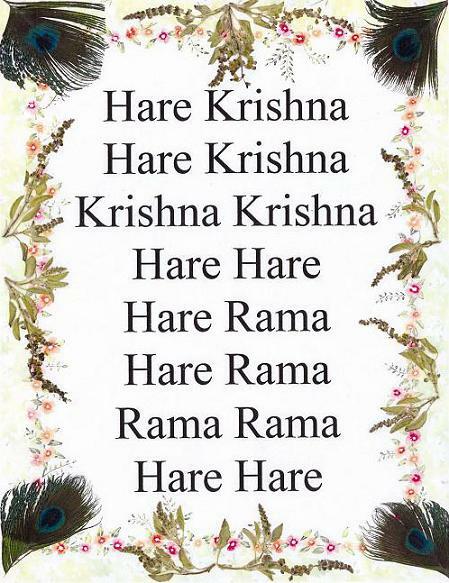 “This transcendental vibration by chanting of Hare Krishna, Hare Krishna, Krishna Krishna, Hare Hare/ Hare Rama, Hare Rama, Rama Rama, Hare Hare, is the sublime method for reviving our Krishna consciousness. As living spiritual soul, we are all originally Krishna conscious entities, but due to our association with matter from time immemorial, our consciousness is now polluted by material atmosphere. In this polluted concept of life we are all trying to exploit the resources of material nature, but actually we are becoming more and more entangled in our complexities. This illusion is called maya, or hard struggle for existence, for winning over the stringent laws of material nature. This illusory struggle against material nature can at once be stopped by revival of our Krishna consciousness. In the old days, book distributors and sankirtan devotees usually carried some mantra cards like the one above to distribute. Hopefully this practice is still going on, because if there was only one piece of literature being distributed, it should be the maha- mantra, or the great mantra for deliverance. The following letter arrived in our mail box and because it is a very good question we have attempted to answer it here. My question is, how can this be achieved? 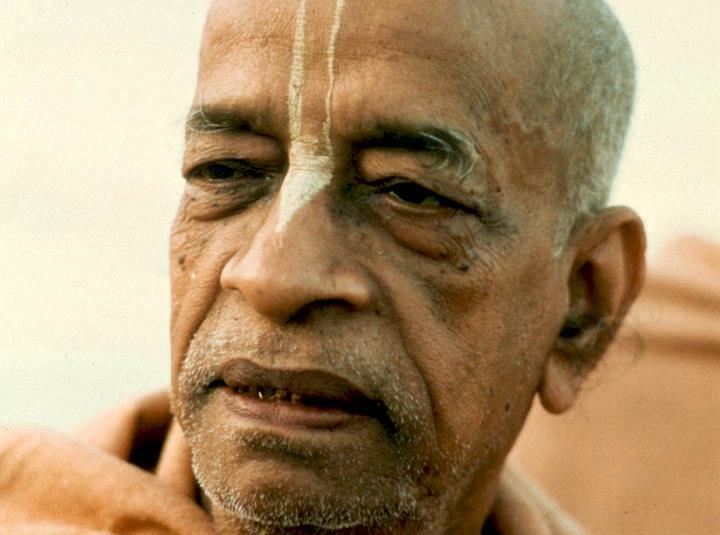 Is it sufficient to read about the mantra in books by His Divine Grace A.C. Bhaktivedanta Swami Prabhupada? Or is there a need to in person receive the mantra from a authentic disciple? If so, where can information be found on who such disciples are and how to contact them? Thank you for your very important question. If you would take a moment and view the following YouTube… or listen to it while you read the purport given by Srila Prabhupada. By the end of it I assure you, that you will have received the Hare Krishna Mantra through the proper disciplic succession from the proper person who is a pure devotee of Krishna, the representative of Krishna. and is the direct link to the parampara (disciplic succession). As explained on the cover of the record album, this transcendental vibration– by chanting of Hare Krishna, Hare Krishna, Krishna Krishna, Hare/ Hare Rama, Hare Rama, Rama, Hare Hare – is the sublime method for reviving our Krishna consciousness. As living spiritual souls we are all originally Krsna conscious entities, but due to our association with matter since time immemorial, our consciousness is now polluted by material atmosphere. In this polluted concept of life, we are all trying to exploit the resources of material nature, but actually we are becoming more and more entangled in our complexities. …In this verse, Śrī Śukadeva Gosvāmī recommends the transcendental chanting of the holy name of the Lord. By offenseless chanting and hearing of the holy name of the Lord, one becomes acquainted with the transcendental form of the Lord, and then with the attributes of the Lord, and then with the transcendental nature of His pastimes, etc. Here it is mentioned that one should constantly chant the holy name of the Lord after hearing it from authorities. This means that hearing from the authorities is the first essential. Anyone who hears Śrīmad-Bhāgavatam attentively from its bona fide reciter is sure to become a sincere devotee of the Lord, who is able to award liberation. There was none so attentive as Mahārāja Parīkṣit in the matter of hearing Śrīmad-Bhāgavatam, and there was none so qualified as Śukadeva Gosvāmī to recite the text of Śrīmad-Bhāgavatam. Therefore, anyone who follows in the footsteps of either the ideal reciter or the ideal hearer, Śukadeva Gosvāmī and Mahārāja Parīkṣit respectively, will undoubtedly attain salvation like them. O King, constant chanting of the holy name of the Lord after the ways of the great authorities is the doubtless and fearless way of success for all, including those who are free from all material desires, those who are desirous of all material enjoyment, and also those who are self-satisfied by dint of transcendental knowledge. …Madhudviṣa: Śrīla Prabhupāda? Should I read the ten offenses? Madhudviṣa: We have them here. Prabhupāda: Just see. Go on reading. Yes, you read. Prabhupāda: Now just try to understand. Any devotee of Lord should not be blasphemed. It doesn’t matter in any country. Just like Lord Jesus Christ, he is a great devotee. And even Muhammad, he’s also a devotee. It is not that because we are devotee and they are not devotee. Don’t think like that. Anyone who is preaching the glories of God, he is a devotee. He should not be blasphemed. You should be careful. Then? 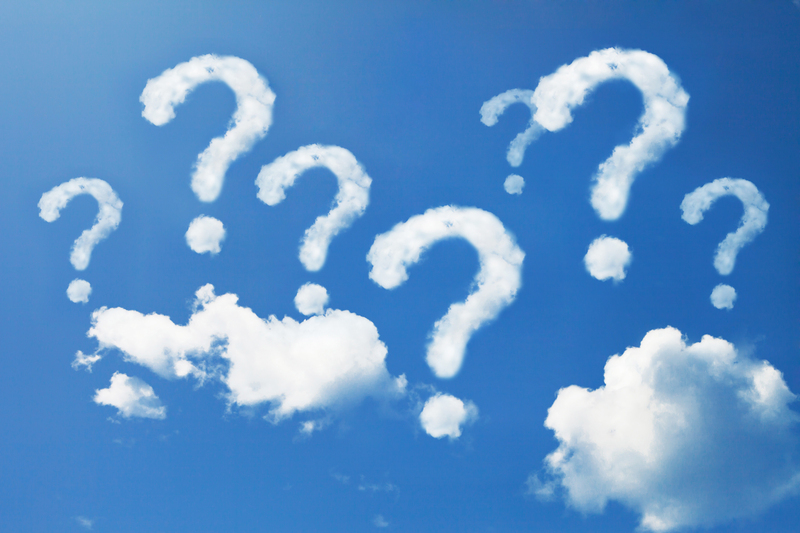 “How can I Recognize a Vaiṣṇava? 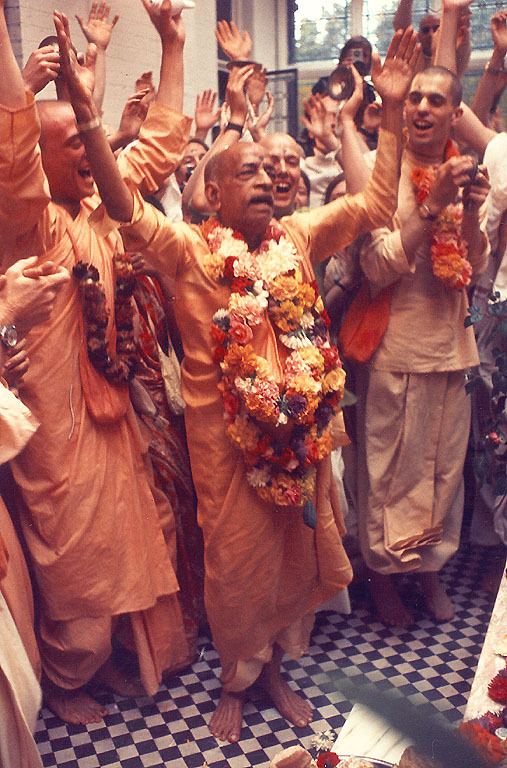 Those sincere souls who have been submitting for decades to disciples of Srila Prabhupada as spiritual masters, only to be disappointed, need not leave the proven path of Bhakti as revealed by Srila Prabhupada (who is not at all at fault). 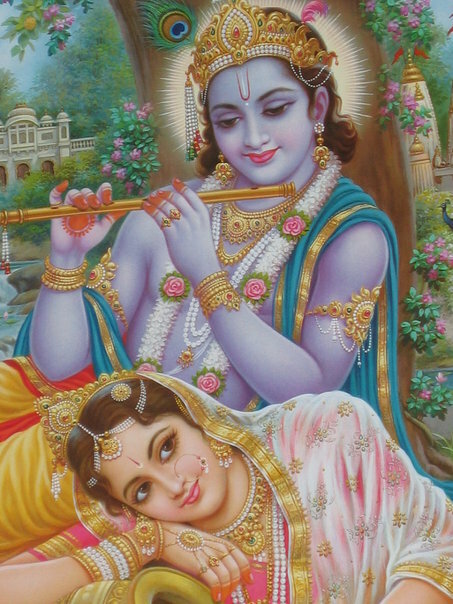 Because of such disappointments, one may have doubts about success in Krsna consciousness. But the path is not to be abandoned. Instead, under the complete shelter of Srila Prabhupada one will be saved for sure from material existence. There is no need to get initiated again and again. 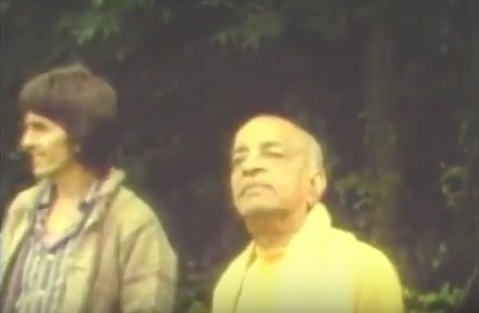 One can take complete shelter of Srila Prabhupada and the Holy Name, Nama Prabhu. Nama Rupe is independent, as confirmed in Caitanya-caritamrta Madhya lila, Chapter 15, verses 105 through 111 with purports, a must read carefully. These verses and purports below, clearly indicate that a sincere soul, initiated or not, can take shelter of Srila Prabhupada-vani and Lord Krsna, the Holy Name, directly. The disappointed disciples of our Godbrothers remain on duty to give Srila Prabhupada’s mercy to the suffering masses of conditioned souls on this planet, which is known as Martyaloka or the planet of death. Krsna consciousness is a matter of life and death for everyone. 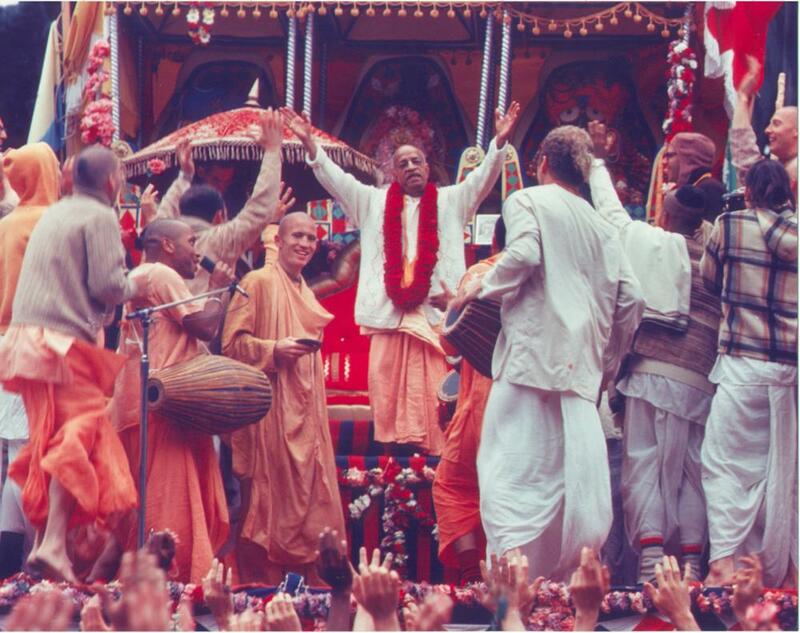 Srila Prabhupada wanted millions, he said “a hundred million” devotees. Respectful obeisances must go out to all the recently disappointed 1,500+ disciples, with the prayer to please take care to remain disciples under the direct protection of their Param-guru, Srila Prabhupada, who said that the grandfather is more kind to the sons than the father. So be it. As foretold in Vedic scriptures, the Supreme Personality of Godhead appeared on earth 500 years ago in the form of Lord Caitanya, who is God Himself playing the role of a devotee of Godhead. The eight verses entitled Sri Sri Siksastakam, which were the only written instructions of Lord Caitanya, reveal the essence of the Krsna consciousness movement. Glory to the Sri Krsna sankirtana, which cleanses the heart of all the dust accumulated for years and extinguishes the fire of conditional life, of repeated birth and death. This sankirtana movement is the prime benediction for humanity at large because it spreads the rays of the benediction moon. It is the life of all transcendental knowledge. It increases the ocean of transcendental bliss, and it enables us to fully taste the nectar for which we are always anxious. The vibration of Kṛṣṇa’s flute is always prominent in the ears of the gopīs. Naturally they cannot hear anything else. Constant remembrance of the holy sound of Kṛṣṇa’s flute keeps them enlightened and enlivened, and they do not allow any other sound to enter their ears. Since their attention is fixed on Kṛṣṇa’s flute, they cannot divert their minds to any other subject. In other words, a devotee who has heard the sound of Kṛṣṇa’s flute forgets to talk or hear of any other subject. 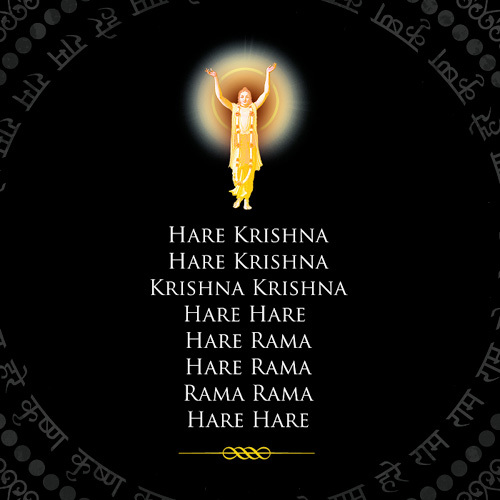 This vibration of Kṛṣṇa’s flute is represented by the Hare Kṛṣṇa mahā-mantra. A serious devotee of the Lord who chants and hears this transcendental vibration becomes so accustomed to it that he cannot divert his attention to any subject matter not related to Kṛṣṇa’s blissful characteristics and paraphernalia.